Until recently, Maori writer Keri Hulme was the only New Zealand writer to have ever won the renowned Man Booker Prize. The Booker Prize is one of the highest honours to be awarded in the world of literature on an international scale. She won it in 1985 for her novel the bone people. Only in 2013, Hulme was succeeded by her fellow New Zealander, Eleanor Catton, for her historical mystery novel The Luminaries (Lyall). In the bone people, Hulme set out to create her very own New Zealand myth. She has stated that she wanted the novel to harmonise her country’s two major cultural influences, New Zealand being home to the indigenous Maori as well as the European-descendant Pakeha (Contemporary Literary Criticism 158). Hulme herself embodies this approach to identity, as she is of both Maori and European descent. Despite biologically being only an eighth Maori, she consciously chooses to identify with this part of her heritage – without neglecting to honour her European heritage where due (Fee 53; Peek 3). In accordance with her mission statement, in her novel Hulme carefully constructs a vision of a New Zealand society which can only fully function with Pakeha and Maori living together in unison, her three protagonists serving as metaphorical stand-ins signifying the mixture of cultures present in New Zealand. Crucially, however, her notion of an ideal New Zealand society is one fundamentally shaped by Maori spirituality and community, appointing a predominant role to Maori culture for the whole of society. This differs significantly from the reality of 1980s New Zealand, where Pakeha culture dominated every aspect of society, and it was solely the Maori who had to try to fit in with the Pakeha way of life. New Zealand having first been discovered around 1350 by the group of Polynesians who were later designated Maori by the European settlers, the first European contact took place only in 1642, when Dutch explorer Abel Tasman discovered the islands and named them Nieuw Zeeland, after a province in his home country. Almost a century later, James Cook rediscovered the islands in 1769, eventually claiming them for the British Empire (Stachurski xii-xiii). This occupation was later consolidated in 1840 in the Treaty of Waitangi, which granted the right to govern New Zealand to the British monarchs and equal citizen rights to the Maori – at least on paper. In reality, within the imperialistic paradigm of the time, Maori were never fully equal in a country now governed by the white settlers. Maori culture was exposed to imperialist ideology, the consequences being a gradual but inevitable suppression of their traditional way of life. Yet connected to the Treaty of Waitangi, New Zealand’s much-debated founding document, is the notion that with its signing Europeans and Maori became one people. This myth of a nation defined by one culture served the Europeans in justifying their presence in the country, as well as their practice of cultural imperialism, operating under the notion that the Maori could only benefit from being exposed to Western culture. Furthermore, the myth later supported the Europeans in developing an identity independent from Great Britain (Williams, “New Zealand Nationalisms” 21-22). Up until the Second World War, the Europeans in New Zealand did not question the legitimacy of the cultural and racial hierarchy in their country. However, the transition from a colonial into a postcolonial state during the second half of the twentieth century meant that the country was forced to re-visit this dynamic and, with the ties to Europe gradually loosening, confront their colonial legacy. This also opened up new space for the Maori to make their grievances heard, taking to the streets to raise public awareness of the discriminations they had suffered and the institutionalised racism present in the country. It also resulted in the Maori Renaissance, a movement on the rise during the second half of the twentieth century, where Maori strongly pursued their goal of revitalising Maori culture (Stachurski 40). This was expressed through political protests, but also through art. As a result, the Maori language, Te Reo Maori, was granted the status of an official language next to English and a tribunal for settling claims and reimbursing Maori for their losses of land since the Treaty of Waitangi was instated (Derby). On a political level, the official policy from one of assimilation and integration of Maori into the dominant Pakeha culture was changed to the policy still officially advocated in New Zealand today, a policy of biculturalism, attempting to give both cultures equal room to exist alongside each other (Derby). The change of governmental policy together with the many movements to acknowledge the presence of Maori culture in the 1980s resulted in a palpable feeling that fundamental change was actually possible. Things were seemingly looking up again from the viewpoint of the Maori in New Zealand. Hulme’s novel with its optimistic approach to the future of New Zealand society clearly is a product of this time and indeed it is the product of almost two decades of work. Before becoming a writer, Hulme studied Law at Canterbury University, but dropped out of the degree, and after working a row of odd-jobs she moved to the west coast of New Zealand’s South Island in 1973 upon realising that being a writer was her true calling (O’Meagher 14; Ross and Stone 209). As she puts it humorously, she retired at the age of twenty-five (Ricketts 22). In order to be able to live off her earnings as a writer, Hulme had the luck of availing herself of diverse financial support, being granted several scholarships, grants and awards throughout her career (Long, “Conversation with Keri Hulme” 4). Apart from the aforementioned Booker she won all of New Zealand’s major awards for literature from the Book of the Year Award to the Mobil Pegasus Award for Maori Literature for the bone people (Ross and Stone 209). Before finally publishing the latter, Hulme was known to New Zealanders primarily as a writer of short stories and poetry. The works published around the time of the bone people, such as the poems assembled in The Silences Between (Moeraki Conversations) (published in 1982), or her short story collection Te Kaihau/The Windeater (published 1986), seem like companions to her major work, all overshadowed by her achievement ofthe bone people. In part this is due to the fact that many of her stories and poems stem from the writing or editing time of the bone people. Additionally, the themes salient in the bone people, such as her bicultural agenda, postcolonial identity, the relationship between New Zealanders and the land they live on, spirituality, as well as characters marked by their position outside the established dominant norms of society, are elaborated on further in her other works. The bone people began its life in 1966, with a dream Hulme had at the age of eighteen which then led to a short story entitled “Simon Peter’s Shell” (Hulme, “Standards in a Non-Standard Book”: xii; Turcotte 137). Over almost two decades, the novel changed its form constantly, shaped by the real events that shook the nation’s identity, until it finally evolved into what is known today as the bone people. The story is set on the rugged west coast of New Zealand’s South Island, a setting the author is very familiar with as she has been residing there herself for several decades now. Three main protagonists make up the backbone of the novel. One day, Kerewin Holmes (as the author confirms, a “bad pun” on her own name [Turcotte 137]), a reclusive artist of mixed Maori and Pakeha descent, stumbles upon a small Pakeha boy, Simon, in her isolated tower home. She soon finds out that the boy is mute as well as prone to mischief and that he lives with his Maori foster father, Joe Gillaley. His foster father took him into his home after Simon solely survived a shipwreck off New Zealand’s rugged coast. The three protagonists build an alternative family unit, seemingly unable to let go of each other after a reluctant start. The idyll comes to an end when Kerewin, having chosen before to put aside her nagging suspicion that something is terribly wrong with her two acquaintances, finds out that Joe has been severely abusing his son, Simon’s scars bearing witness to the repeated beatings his father has been inflicting on him. As Simon has, despite her best efforts, become close to her heart, Kerewin decides to protect him from further harm by taking matters into her own hands. Eventually, this backfires as her temper unleashes a final beating on Simon which leads him to the hospital, now not only mute but also partially deaf, and Joe to a stint in prison. Thereafter, each of the characters goes on a quest in order to overcome their respective crises and be able to finally reconnect with each other and form a kind of idealised whanau (a Maori term which in essence denotes the extended family unit), combining the best, from Hulme’s point of view, of Maori and Pakeha culture in a celebration of biculturalism. Throughout, the novel is interspersed with a mixture of cultures, mythologies and languages and it seamlessly switches between prose and poetry, between perspectives, dialogue and inner monologue as well as elements of realism and magical realism. Together, the novel constitutes an immense well of ideas, all held together by the quest of the three vividly realised protagonists for a place they can call home together. After a long struggle to publish the bone people and having finally succeeded in 1983, the book was initially received rapturously by many New Zealand critics, some of whom even claimed for it the title of the long-awaited “Great New Zealand Novel” (King, “The Original Mouthful” 41). “We are the bone people. 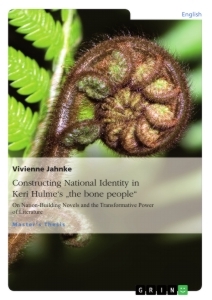 Keri Hulme sat in our skulls while she wrote this book… Keri Hulme has given us – us”, is how Joe Cowley puts it in her enthusiastic review (Cowley 60) – a claim which caused significant uproar and was equally emotionally refuted by many other New Zealand critics (Stone 102). That the claim sparked such passionate discussion among New Zealand’s literary critics is easily explained considering the socio-historic background of New Zealand in the 1980s. After all, claiming such an authority for a novel as to speak to the heart of national identity in a country in the midst of negotiating between two conflicting cultural agendas and discussing their postcolonial future is certain to provoke a debate. 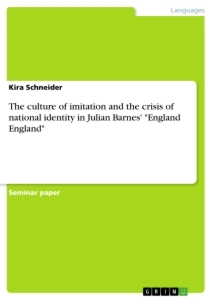 The reason also lies in the way national identity is constructed in Hulme’s novel. One of the predominant spaces for addressing contemporary issues relating to national identity is literature, as literature has always played a significant part in informing the paramount discourses of the time. It is a typical endeavour in young postcolonial countries such as New Zealand for its indigenous writers to use their works of art to take part in the process of nation building, dismantling and reclaiming the dominant discourse in a country still influenced by its colonial history. In constructing her New Zealand myth in the bone people, Keri Hulme presents her country with her answer to the postcolonial identity crisis. In the spirit of ‘writing back’ to the dominant discourse, she suggests that the key to a healthy New Zealand society lies in the Pakeha adopting Maoritanga (the Maori way of live) into their lives, not the other way around. However, instead of engaging in the usual post-colonial practice of the indigenous writer exclusively ‘writing back’ at Western culture, she incorporates it to a certain extent, not denying the Pakeha their part in future New Zealand society. As a result, her position within the postcolonial discourse is uneasy. Arguably, this inclusionary approach to constructing national identity sets her apart from the strategies her fellow New Zealand writers employ. Nevertheless, she shows that she has a tight grip on the reality of what constitutes postcolonial identity, which is inherently a hybrid construct out of both the colonised and colonisers’ influences, never just one or the other. That so many critics, Pakeha and Maori, were uncomfortable with such patterns of identity exposes how far New Zealand was still away from truly overcoming the colonial paradigm. Thus it can be argued that she speaks to the core of her country’s postcolonial identity crisis – and in doing so compels her fellow New Zealanders to confront the social reality in their country and to enter into the discourse of who they want to be as a nation. Accordingly, this thesis is going to analyse Hulme’s writing strategies from a postcolonial viewpoint, exploring matters of identity construction on an individual as well as on a national level. Does her novel succeed as literature partaking in the nation-building process? A brief excursion into the realm of theory will provide the necessary framework for the analysis. After the in-depth discussion of the bone people, a comparative approach in the form of a closer look at some contemporary New Zealand writers’ dealing with New Zealand’s postcolonial condition will provide additional depth. Works from some of New Zealand’s most renowned authors, Witi Ihimaera, Patricia Grace, Alan Duff and the aforementioned Booker Prize winner Eleanor Catton, will be compared to the bone people. Finally, a conclusion shall be drawn as to exactly how far New Zealand has come in its development as a country of bi- or even multiculturalism since the publication of the bone people. It shall be discussed whether or not the bone people’s vision is one still relevant to New Zealand national identity today, whether the momentum the Maori gained in their agenda to revitalise their culture, out of which Hulme’s novel has sprung, had more than just a ceremonial effect on the country and consequently how Hulme’s vision is holding up to the reality of New Zealand in the twenty-first century. First and foremost, Keri Hulme’s the bone people is a postcolonial novel and as such it is a part of her nation’s negotiation of national identity in its postcolonial state. She is partaking in the nation’s process of decolonisation, consciously using her art to undermine and subvert the colonial paradigm which is haunting the former settler colony. Within colonialist ideology, the colonisers assume a hegemonic position. They infer that their culture is superior to the one of the colonised. As a consequence, the colonised culture is suppressed. One way of reaching this goal can be found in the implementation of binary oppositions, which are typical features of colonial ideology. Binary oppositions denote two concepts which stand in the most extreme form of opposition to one another. Examples of such divisions within colonial discourse are the binaries of centre and margin, white and black, or coloniser and colonised. In introducing them, according to Homi Bhabha, individuals are “essentialised” as well as “den[ied] individual experience and identity” (Bhabha 3). Instead, ‘fixed categories’” of identity are enforced (Bhabha 3). Culture, however, is never fixed or pure in reality. As Anja Loomba writes, in reality, “any simple binary is undercut by the fact that there are enormous cultural and racial differences within each of the categories as well as cross-overs between them” (91). Edward Said’s theory of Orientalism exemplifies such a practice. He exposes how in Western discourse the Orient is depicted as barbaric, sensual and lazy, in opposition to the West, which is characterised in exact opposition as rational and civilised (Loomba 44-5). There is a clear distinction between the two groups of people, and it enables Europeans to feel comfortable with their identity, as they do not fall into the “other” category. Race determines identity – people from the Orient are seen as inferior because they are Asian (Barry 187). Of course, attributing such character traits to “the Orient” as a whole is in itself a generalisation, just as it is for the oppositional group of “Europeans”. Both groups are in themselves diverse and not homogenous at all, but the generalisation helps establish a feeling of superiority on the part of the West. Therefore, the cultural specificity of what is interpreted as “different”, and accordingly not the normal assumption, is marginalised in society. Discourse offers another mechanism of exclusion. Since power plays a major role in determining identity in Foucault’s theory, within colonialism, it is the colonisers that are allowed to decide what is within the accepted norm. They implement their position through institutions such as the government, the media or the education system (Loomba 40-42; Ashcroft, Post-colonial Studies Reader 71). Literature also plays a major role in propagating these stereotypes, as during the colonial phase, literary works are largely produced by the colonial power, and they can further implement the notion of what is assumed as normal (Ashcroft, Post-colonial Studies Reader 94). Just as for the individual, it is equally important for nation states to create a unifying narrative to ascertain who they are as a people in opposition to others. As such, gathering a people under the heading of a nation state once again works as an essentialising device and suppresses difference. Benedict Anderson alerts his readers to the constructed nature of nations in his seminal work on Imagined Communities. He identifies the late eighteenth century as the point in history when nation states come into being, as products of modernity (Anderson 4). They exist as “a political concept that refers to an administrative apparatus deemed to have sovereignty over a specific space or territory within the nation-state system,” within which its citizens are meant to identify through shared values and practices as a unified nation state (Barker, Cultural Studies 259). A shared language or religion, as well as creation myths, for example, serve to implement such collective identity as they construct a continuity where there might not be one (Barker, Cultural Studies 259; Liu 16). Naturally, not all citizens of a country share the same beliefs; they are of different ethnicities, ages and social backgrounds. Nonetheless, their markers of difference are suppressed in discursive formations controlled by those in power (Liu 14), as it supports the colonisers in their implementation of cultural imperialism. Accordingly, national identities of settler colonies such as New Zealand are necessarily of a constructed nature. As the colonisers strive to legitimise their claim of hegemonic power, they have to find ways to circumvent the fact that they neither share a native language, nor converge on racial or religious lines with the culture they are colonising (Post-colonial Studies Reader 117). The discourse on shared cultural values and practices helps them bypass that. In addition, the settlers struggle with their sense of self while they are in the process of liberating themselves from identifying with the European centre. Therefore, they try to establish a narrative of unity consistent with what Roland Barthes describes as the concept of myth, a special term describing national narratives of group “purity”, once again relying on the shared understanding of values (Ashcroft, Empire Writes Back 35). In a postcolonial country such as New Zealand there are necessarily several myths in play, always drawing on dual histories and cultural backgrounds. Specifically, the New Zealand national myth is constructed to effect a harmonious society, but in reality Maori culture is assimilated and suppressed by dominant Pakeha culture. When Keri Hulme states that “it all depends on what story you hear” in her 1986 short story collection Te Kaihau/ The Windeater (240), she hints at this duality of constructed myths inherent in a country such as New Zealand, which is peopled by two cultures with two very different agendas. Accordingly, in 1980s New Zealand, Mark Williams identifies three competing discourses for New Zealand’s national identity: the aforementioned ‘one people’ myth, the Maori myth and the myth of biculturalism (Williams, “New Zealand Nationalisms” 19-22). Bhabha sees the most promise of subverting colonial ideology in the exploration of the ‘third space’. Another crucial factor in regaining self-determination for the postcolonial writer is in appropriating or even fully rejecting the coloniser’s language as well as moulding the medium of the novel to their needs. The language of the colonised, consisting out of signs infused with that particular culture’s system of values, is inherently endowed with the coloniser’s world view (Ashcroft, Post-colonial Studies Reader 71). Gaining control over the language can be achieved by refusing the “categories of the imperial culture, its aesthetic, its illusory standard or normative or ‘correct’ usage, and its assumptions of a traditional and fixed meaning ‘inscribed’ in the words” (Ashcroft, Empire Writes Back 37; 38). Therefore, one strategy of postcolonial writing is to appropriate the coloniser’s language to the needs of the vernacular environment, to adapt grammar, syntax and vocabulary, and move away from any prescribed idea of language. Thus, the traditional European narrative structure of the novel can be appropriated to the traditional form of oral storytelling of the colonised. 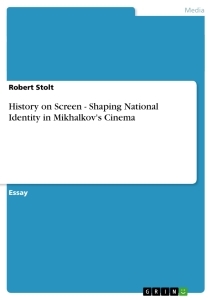 As Ashcroft asserts, common strategies to invoke a feeling of oral storytelling are “[the] circling back from the present to the past, [the] building [of a] tale within tale, and persistently delaying climaxes” (Empire Writes Back 181), straying from the traditionally linear form of European writing. Naturally, it is also possible for a postcolonial writer to choose to reject the coloniser’s language entirely and revitalise their native tongue. The difficulty in this strategy lies in the possibility of simply reversing the binary construction of colonial ideology. To “write back” with full force is a necessary precondition of regaining a say in national discourse; nevertheless, it does serve to exchange one dominant group for another, thus effectively keeping the old dynamic between the two cultures in place. The aim of postcolonial writing should not be to replace the dominant binary position, but to deconstruct the relation between them. As Ashcroft suggests in line with Bhabha’s theory of hybridity, “[p]ost-colonial culture is inevitably a hybridised phenomenon” (Empire Writes Back 220), and as such it is also impossible for the colonised subjects to “reconstitut[e] (…) pre-colonial identity” (Empire Writes Back 28-29). Whatever strategy of writing is more desirable, appropriation or total rejection of the coloniser’s culture, the reality of any postcolonial state is that it necessarily consists out of both cultural groups. The myth of biculturalism in New Zealand suggests the possibility of “difference on equal terms” (Ashcroft, Empire Writes Back 35), and possibly this is the only solution, if implemented to its logical end, that would possibly assuage both colonisers and colonised. Meanwhile, postcolonial writers have to use their work to continually challenge colonial assumptions of identity and, as shall be shown, Keri Hulme’s the bone people attempts just that. The title of the book will always be kept in lower case spelling, as preferred by Hulme herself (Evans, “Politics and Maori Literature” 40). Furthermore, any citation from the novel will be quoted just by page number; all other sources will be marked otherwise.